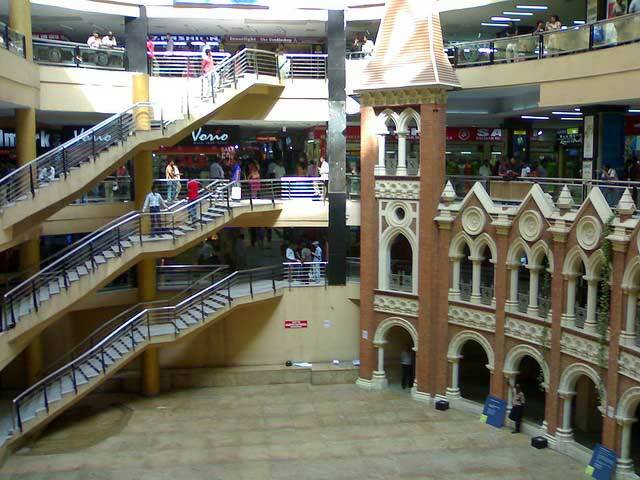 Chennai is among the most popular destinations in southern India. It is a hub of science and technology where most scientists and software guys move to in search of education or jobs. And this city welcomes them all with arms wide open. It caters to the needs of young and old alike. 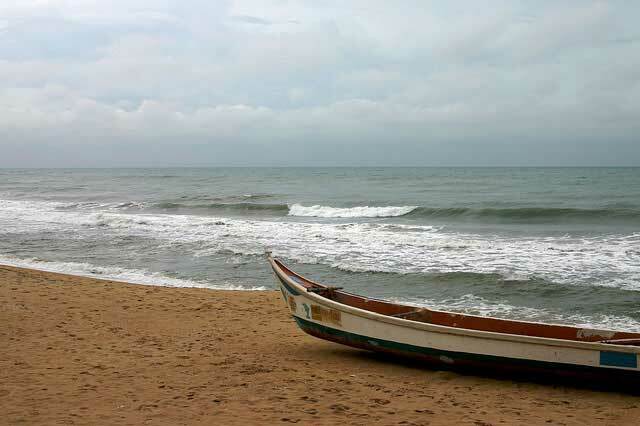 The enthralling picturesque beauty of the Covelong beach along the Coromandel Coast will leave you spell bound! The glistening sand lined by palm trees on the periphery and the sea waves hitting the shore on the other end is just picture – perfect. This beach is famous for water sports. So head there if you want to have some adventure with your friends. A trip to this land of serenity is awe-inspiring! When you witness the sunset or sunrise at the junction of golden sand and blue sea you and your friends will be mesmerised. 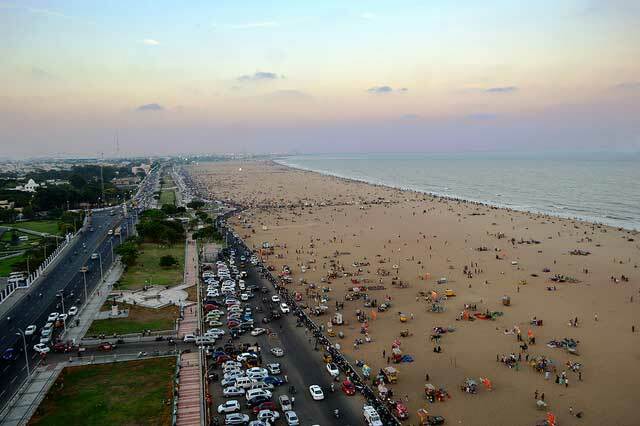 Marina Beach is the second longest beach in the world. You could enjoy the horse ride along the shore. Water sports activities are also available here. In the neighbourhood, you can also find some significant historical monuments. It’s a beautiful beach to just chill. It is situated at Kamrajar Salai Road. Known locally as ‘Bessei’, Elliot Beach is yet another hangout spot you can head to with your friends. Apart from the scenic beauty there are some amazing food – stalls you can try out with your friends! With friends you ought to hit the dance club! There is nothing compared to dancing like crazy with the crazies, right? Chennai offers some amazing options of clubs and pubs that you can head to, on a Saturday night. HFO or Hell Freezes Over gives you 6000 sq ft of space to ‘shake it off’ alongwith some mind blowing music reverberating all throughout the pub. Some of the best DJs from the country are known to play here at special events. Situated at Jawaharlal Nehru Salai, Geofferey’s is a great night hangout joint that offers delicious food and exotic drinks. A special ‘Ladies Night’ is organised where you can head with your chics and avail special discounts. Located in ITC Hotel Park Sheraton, Dublin is a classic styled pub with a fine blend of Irish pub and southern metro city ambience. A great place to just chill with friends. Cinemas: INOX, Abirami Complex, Casino, Devi Complex, Sathyam Complex, Rohini Movie Park, Woodlands Multiplex, Liberty etc to name a few. 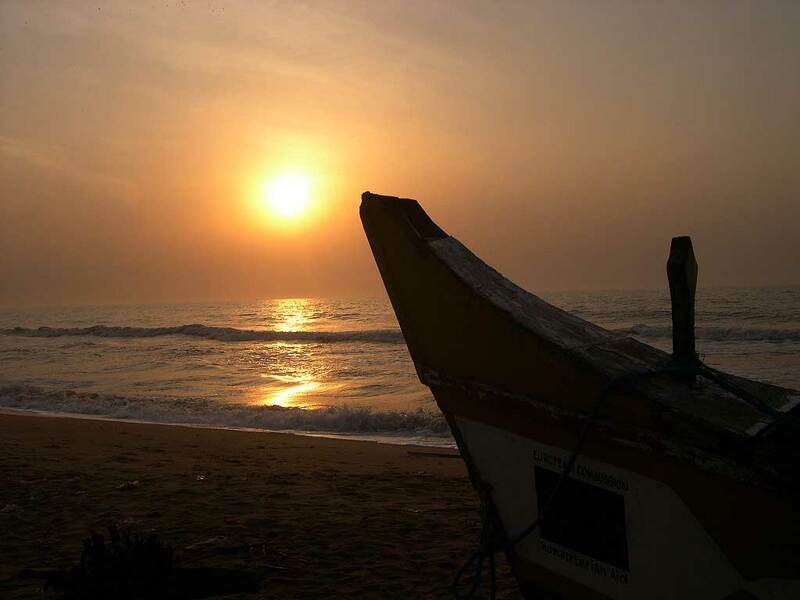 It is located on East Coast Road (ECR) approximately 24 kms from the city. 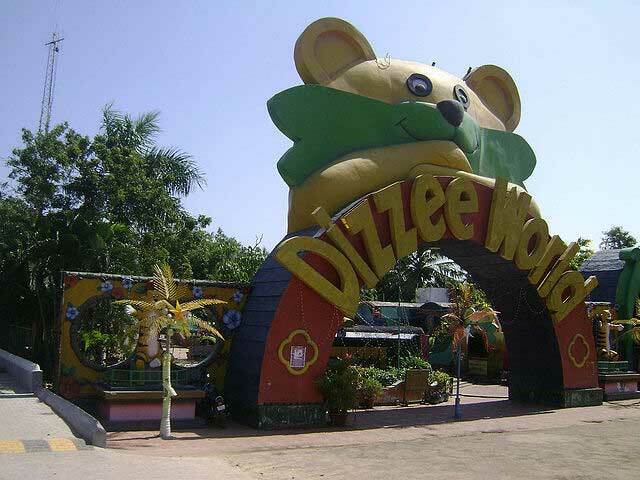 MGM Dizzie World Beach Resort is known for the thrilling water sports and exciting rides! Head there and get some adrenaline pumping. Situated on NH 4 on the way to Bangalore, Dash-n-Splash is a yet another amazing park that is popular among kids and adults alike. Whether it is to spend quality time with your loved ones away from the crowded city or to just explore wilderness it can be best enjoyed in the realm of nature and how. You can go out there trekking among the undulating terrains and exotic plants or a bird watching tour to spot some of the magnificent species and share the joy with friends! 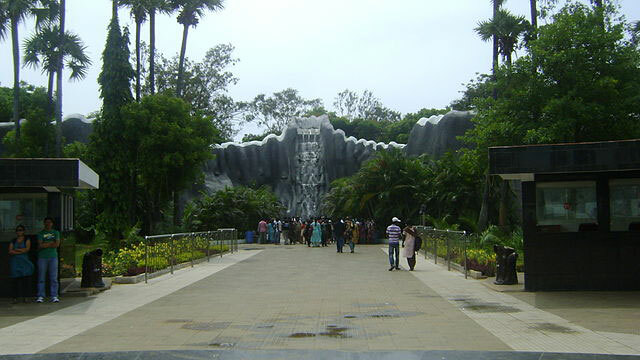 Vandalur Zoo is located 30 km from the city. Here you can view the beautiful and exotic species including those of butterflies and reptiles. Crocodile Bank located 40 km from the city is the largest crocodile breeding site in India. It is home to a large variety of alligators, crocodiles and snakes. Chennai is a city that has shown phenomenal growth in recent years. With such development there are a number of options for you to chill with your loved ones. 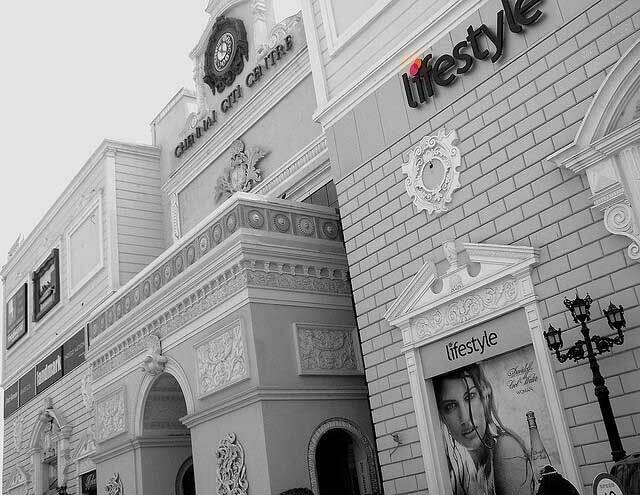 Big brands are now making their way into the city.